Happy National Park and Recreation Month! Along with July being National Picnic Month, this month is also National Park and Recreation Month, which makes sense considering that picnics and parks go hand in hand! 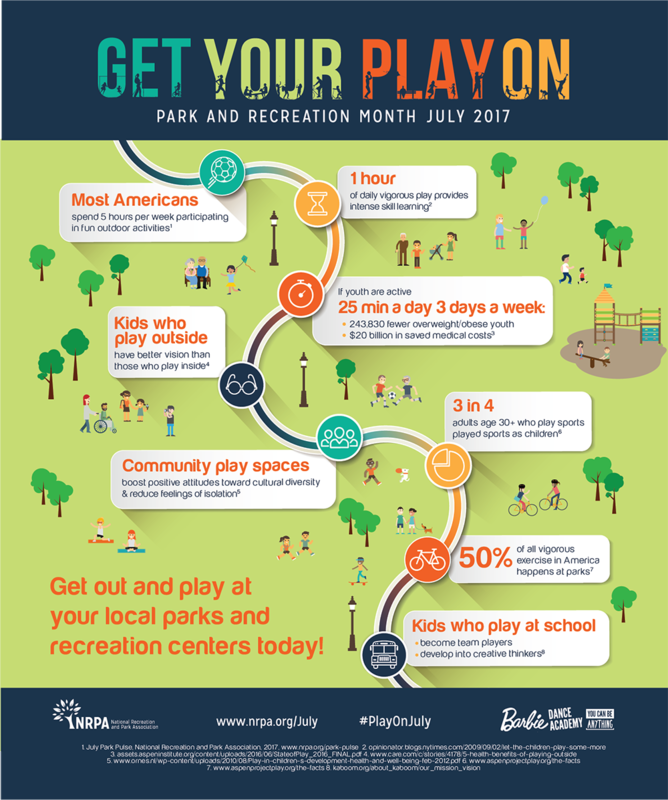 We love this infographic created by National Recreation and Park Association that shares some fun facts about community spaces boosting positive attitudes toward cultural diversity, how playing outside enhances vision and that half of exercise in America takes place at parks. 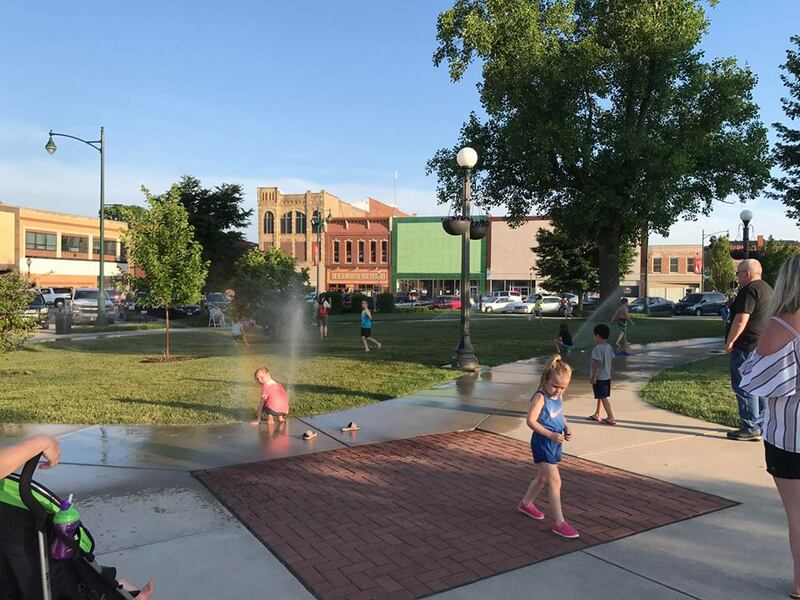 According to Plan 4 Health’s website, National Park and Recreation Month “is a time to promote the benefits of healthy, vibrant communities.” Going outside is a simple action, and the benefits are life changing. An article published by The Trek explains that taking in the fresh air and enjoying nature can improve sleep, attention span, reduce inflammation and boost overall psychological health. Parks are vital parts of communities and neighborhoods. According to an article published by Green Ribbon, there are many reasons that parks are essential, including reduction of smog and heat in urban neighborhoods, managing storm water, natural ecosystems and so much more. At the Levitt Foundation, we strive to bring communities together through the revitalization of green and public spaces, many of which are located in parks. 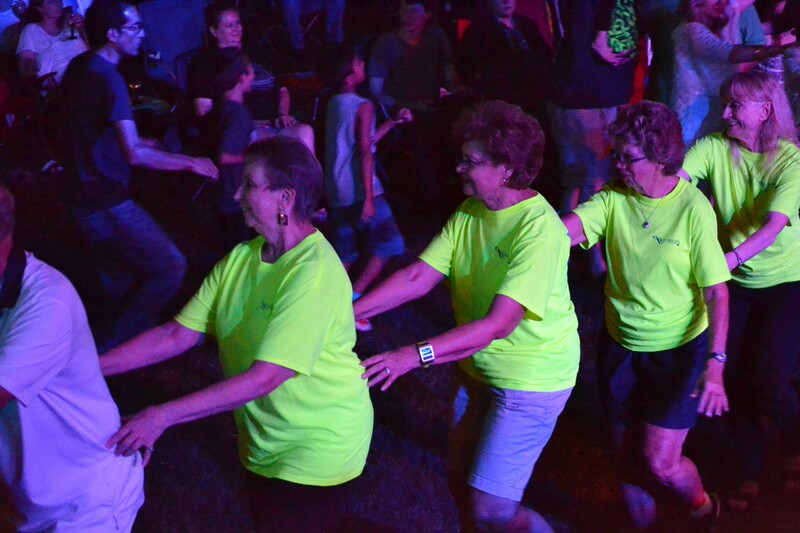 As all Levitt concerts are held outside, it’s not unusual for Levitt concertgoers to engage in physical activities before, during and after the free shows, such as beanbag races, biking and dancing, as illustrated in the slideshow below. 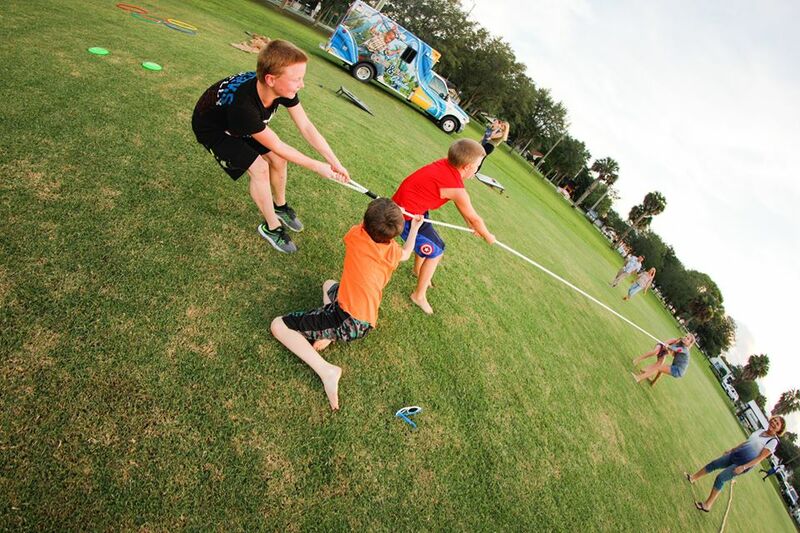 Children at Levitt AMP Ocala playing tug of war before the music starts. Levitteers at Levitt Pavilion Arlington move to the music with a conga line. 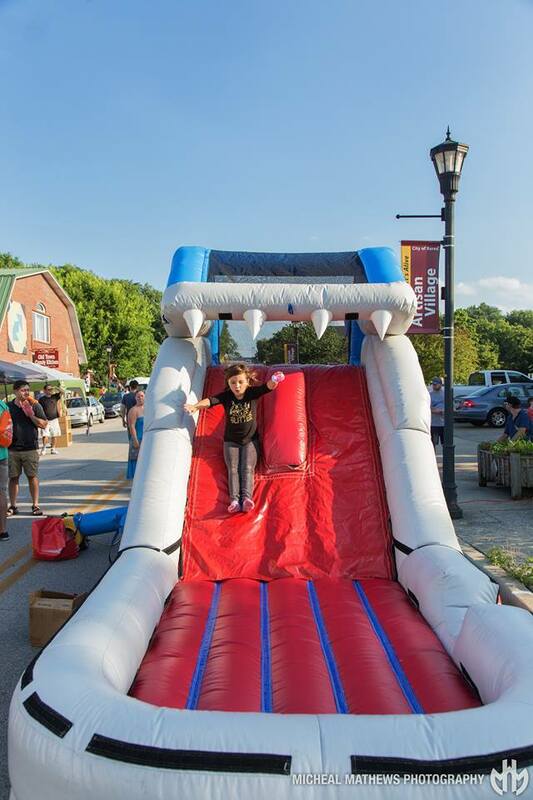 Levitt AMP Berea bringing the fun to physical exercise with this giant bouncy slide. 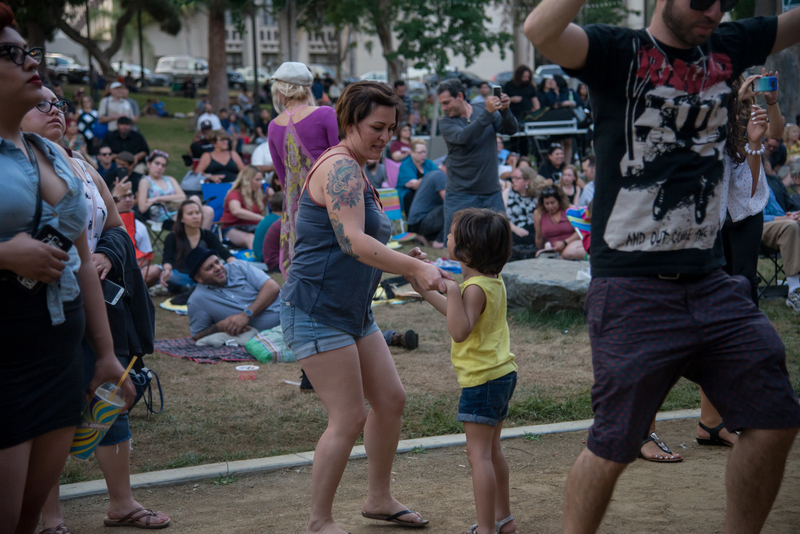 Levitteers at Levitt Pavilion Los Angeles dancing to the free music in the park. Children at Levitt AMP Jacksonville soaking up the sun (and water), by jumping and running through sprinklers before the concert. Levitt Shell Memphis Levitteers enjoying a picnic in the park, while listening to free, live music. 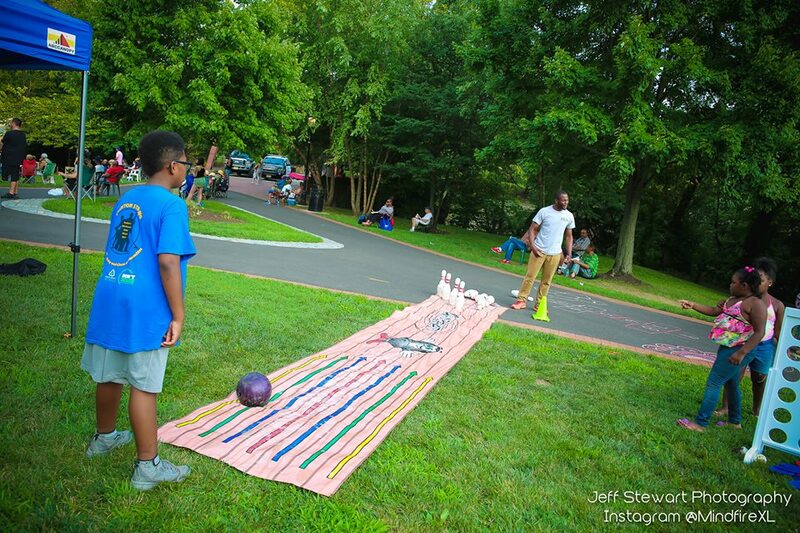 Levitt AMP Trenton bringing bowling to the outdoors for concertgoers. 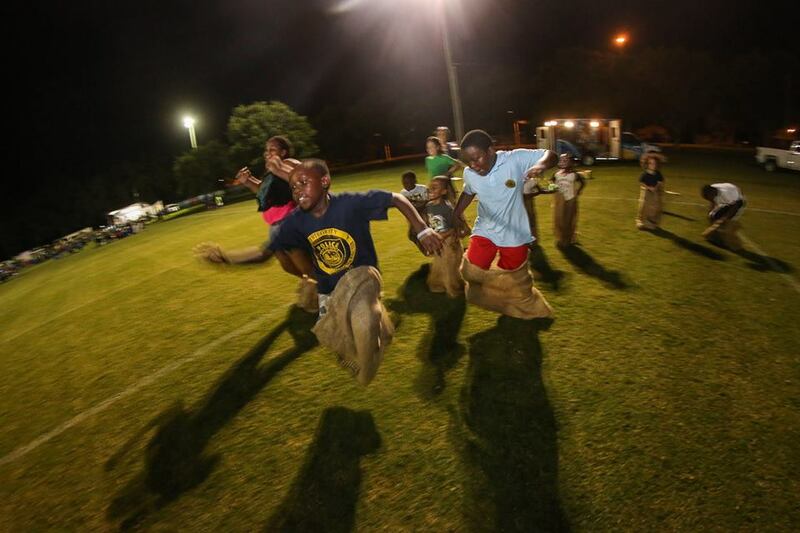 Levitt AMP Ocala Levitteers letting their energy out during a bean bag race. So go outside, bring a picnic, play tug of war or simply dance the night away while enjoying free music under the stars. 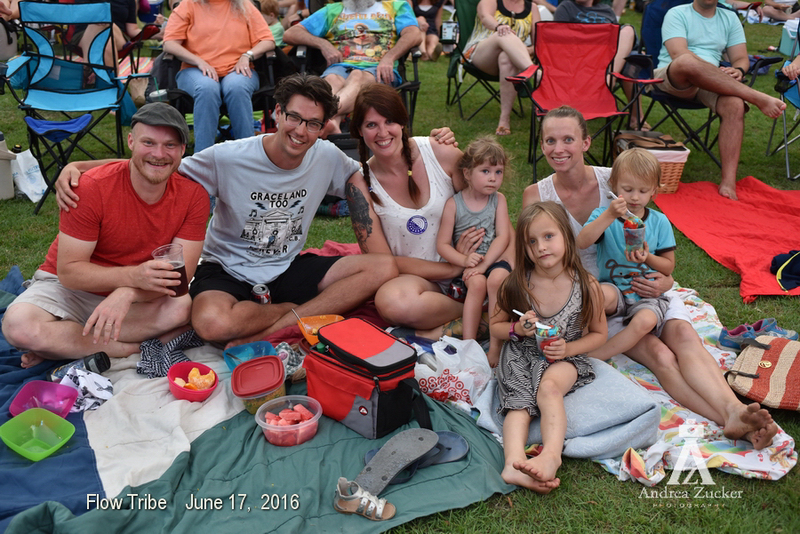 Celebrate National Park and Recreation Month today in your local park, or check out our website to find free Levitt concerts happening across the country! This entry was posted in Holidays, Levitt in America and tagged Levitt AMP Berea, Levitt AMP Jacksonville, Levitt AMP Ocala, Levitt AMP Trenton, Levitt Pavilion Arlington, Levitt Pavilion Los Angeles, Levitt Shell Memphis, National Park and Recreation Month on July 26, 2017 by Cassie Ziegelbauer.